It’s always a difficult decision for an NBA franchise to move away from good and popular players, but in some cases it’s necessary. Whether the move is made for financial, performance, or value-related reasons, moving on from a player who was supposed to be a huge piece of a team’s success is always a tough sell. This upcoming offseason, there are five players their respective teams should consider moving on from. Minnesota was one of the surprise teams out of the Western Conference in 2017-18; the organization captured the eighth seed with a 47-35 record. 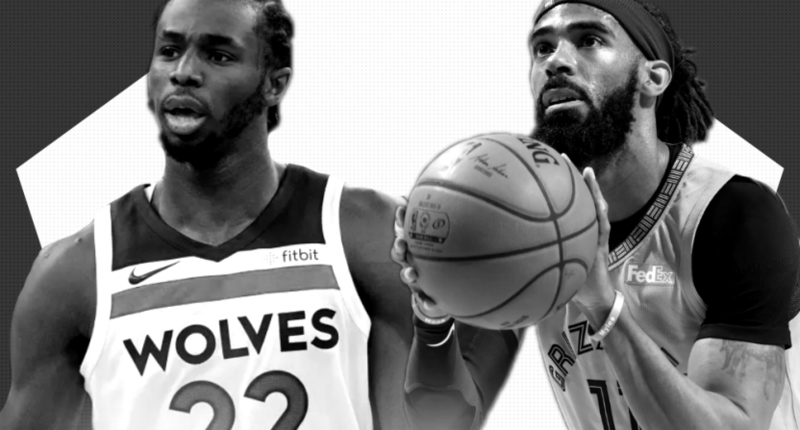 Unfortunately, the Timberwolves were unable to build on that success in 2018-19 and will finish under .500 — currently 35-43 — on the season. One of the biggest reasons Minnesota hasn’t continued to evolve is the inefficient play of forward Andrew Wiggins. Wiggins has failed to take the expected next step in his development on the court. Too often this season, the 24-year-old would end up with more shots in a single game than points, while not maximizing his strengths on the court. Averaging just 17.9 points on 16.6 shots, while shooting 33 percent from three and barely 40 percent from the field, isn’t good enough for a guy owed between $27-33 million over the next four seasons. For a player so athletically gifted, he’s a non-factor defensively. Wiggins is still young enough to reverse his downward trend in performance, and there’s no question he’s an NBA player. However, in Minnesota, he has devolved into an inefficient scorer and is too often a non-factor on the court. Both Wiggins and the Timberwolves would benefit from a change of scenery. Would a team be willing to take on his massive contract? That remains to be seen. Wiggins would be a high-risk, high-reward type of acquisition. Mike Conley Jr. has enjoyed a great bounce-back season after missing all but 12 games in 2017-18. He has scored at a career-best rate, averaging 21.1 points per game, while being a great floor general for Memphis and playing great two-way basketball. The Grizzlies do not need to trade Conley Jr., but considering the club’s trajectory, it would be wise to move on from him while his value is still high. Conley Jr. is 31 and is owed more than $60 million over the next two seasons. Memphis is clearly rebuilding and could use as many future assets as they can get. Trading Conley Jr. to a team desperate for a point guard would give the Grizzlies financial flexibility, bring in a ton of assets, and finally tell the rest of the NBA what they have been clearly doing over the last year- rebuilding. Trading a franchise player is never easy, but the time is right for Conley Jr. to be moved. From a value standpoint, Whiteside has gone from being the NBA’s block and rebound leader to a role player for the Heat in just three years. In 2018-19, Whiteside is averaging 12.3 points, 11.5 rebounds, and 1.9 blocks. Those are solid numbers, but his overall impact has lessened. No longer does Miami count on him in big moments, and they have pivoted towards using sophomore center Bam Adebayo in the starting lineup. Whiteside is a lock to accept his $27 million player option next year. If the Heat can find a trade partner, they should seriously consider moving him if they haven’t already. Whiteside’s skillset doesn’t fit with the modern NBA, he’s not as useful as he once was, and the Heat are rightfully starting to rely on their younger players instead. Finding a new home for Whiteside should be a priority for Miami this offseason. Washington has been in NBA purgatory for a long time. They haven’t been good enough to win a title, but haven’t been bad enough to land a top lottery pick. With John Wall suffering a season-ending injury, and no immediate reinforcements coming to help, trading Beal would be a great move for the team to finally admit they’re rebuilding. Beal is a top-25 player in the NBA. In 2018-19, he has carried more responsibility than ever on a poor Wizards squad, averaging career bests with 25.9 points, 5.1 rebounds, and 4.1 assists per game. He’s one of the NBA’s best shooters, and even though he’s owed more than $55 million over the next two seasons, he would be highly coveted around the league. Washington could bottom out and get a plethora of good assets for Beal if they decided to trade him. It would be a tough decision considering how good he is, but even with him on the roster, the Wizards are heading nowhere. It’s unfair to pick on Hayward since a gruesome knee injury suffered five minutes into his Celtics career completely changed his impact. In his first full season with Boston, Hayward is averaging 11.3 points, 4.5 rebounds, and 3.4 assists in a reserve role. He’s shooting just 33.6 percent from three. Hayward is one of the highest-paid players in the league, owed more than $66 million over the next two seasons. He’s not living up to his contract. Returning to play under his former Butler coach Brad Stevens in a basketball-crazy city seemed like a perfect marriage for the player and franchise. However, it hasn’t worked out at all. It would be wise for Boston to admit the experiment hasn’t worked and try to fill his roster spot with a more impactful player. The Celtics’ contending window is right now. Paying Hayward $33 million to be a role player is antithetical towards their contention hopes- unless he suddenly becomes the Utah version the Celtics envisioned they were getting when they signed him. Andrew WigginsBradley BealGordon HaywardHassan WhitesideMike Conley Jr.